Zondervan's Get an A! Study Guides put critical information at your fingertips! 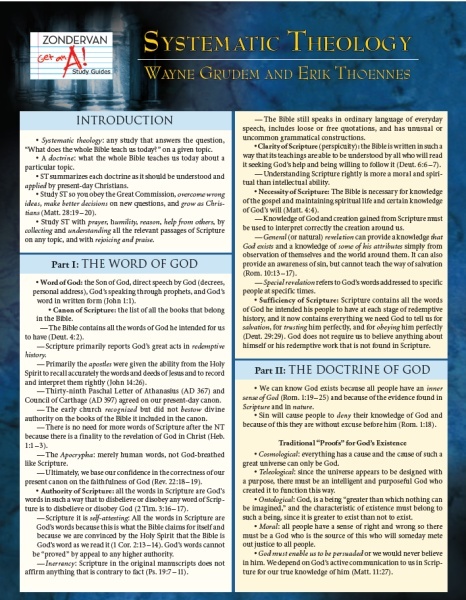 A quick and trustworthy overview of systematic theology from Wayne Grudem’s award-winning Systematic Theology, this study guide is a concise, readable tool for understanding often complex theological doctrines.